My Carmelite principal has a decorated piece of metal on her door that reads, “God answers knee-mail.” Well, what happens when you’ve been knee-mailing him for a good while and nothing’s showing up in your box? I think we need to let God be God. We too often put him in a box. But how silly this is! We get upset, disappointed, sad, or frustrated when our prayers aren’t answered ASAP. Yet little do we realize that they are being answered in mysterious ways. God is outside of the realm of time as previously mentioned in the Scripture verse above. He is eternal. He doesn’t have a watch on his wrist like we do. Stop and think about that for a few minutes. God is greater than our invention of schedules, planners, and calendars. Have you ever heard the saying that God answers prayers in one of three ways? He either says, “Yes. You may have what you prayed for,” “No, you may not have that. I love you too much,” or lastly, “Yes. But not now. Just wait a little.” Basically, let God be God. You can resign. Secondly, Peter was answering people’s concerns about the second coming of Jesus, so he adds that Jesus will come as a thief in the night. No one will see it coming and it will be a surprise. Our focus should be on how we’re living out the faith right NOW. That’s been the theme of this whole study! 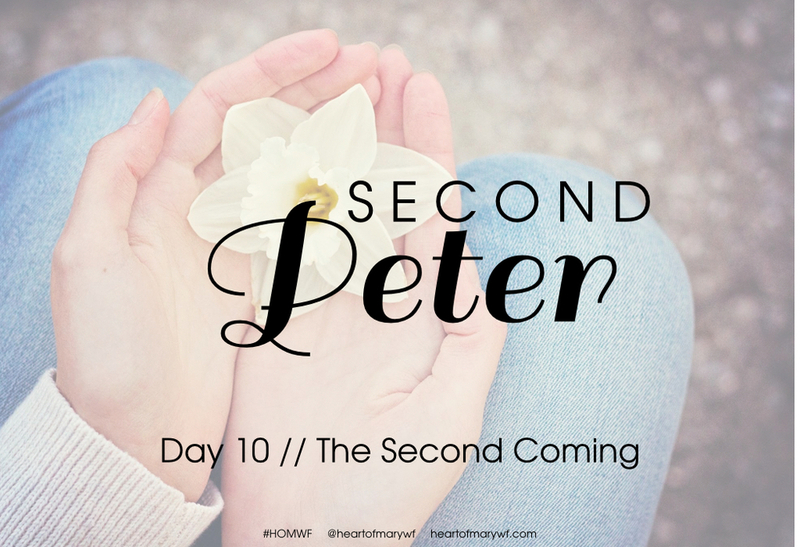 Peter tells us that we ought to be women who behave in holiness and piety. This is where our focus should be. Not on predicting dates. Yes. Jesus will come again. We don’t know when. That’s cool. In the meantime study your Bible (Basic Instructions Before Leaving Earth) so that you can leave with him! Go to Church. Love your mom and dad. Read enlightening books. Soak up the sun. Tell your siblings how awesome they are. Share your Faith with others. Spend time in prayer every day and chill.